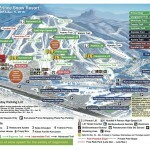 The largest ski area in Karuizawa, an upmarket mountain resort in Nagano Prefeture, is operated by the Prince Snow Resort. With its snow machine, the season can start as early as mid-October, thus one of the earliest resort (in Japan) to open for the season. Karuizawa Prince Hotel Ski Resort is just an hour away from central Tokyo via bullet train making it the perfect winter destination for weekends or extended holidays. 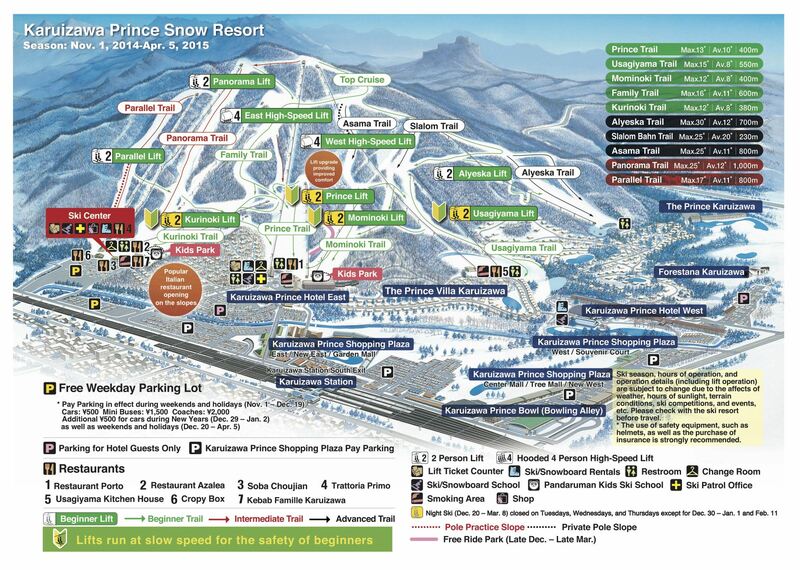 It has 9 lifts and 10 ski trails covering Mt. Yagasaki with the longest run of about 1.2 kilometers and steepest slope of about 30 degrees. The courses are geared mostly towards beginner and intermediate skiers but there are also several terrain with variety of features suitable for expert and freestyle riders. *Night Skiing is not available on Tues, Wed, & Thurs, except during New Year’s holidays (Dec. 30 – Jan. 1) and Feb 11. – Children 12 years of age and under ski free of charge. The resort also offers the latest ski and snowboard gears for rent. The resort is also a perfect destination for the family with child-friendly setting and activities. There are 2 Kids Park areas in the resort, one is at the bottom of the Mominoki course and the other is by the Kurinoki course. 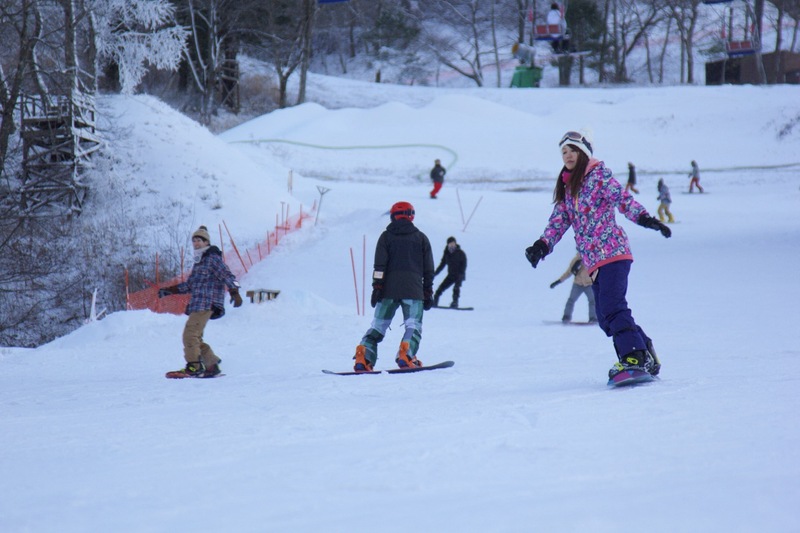 Entrance fee to the snow park is ¥1,300 for the day but is free for lift ticket holders.